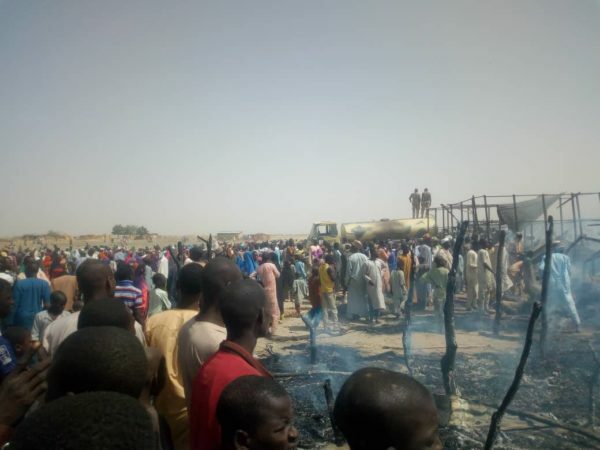 TVC reports that an unknown number of children have died in a fire in an Internally Displaced Persons (IDP) camp in Monguno, Borno State. 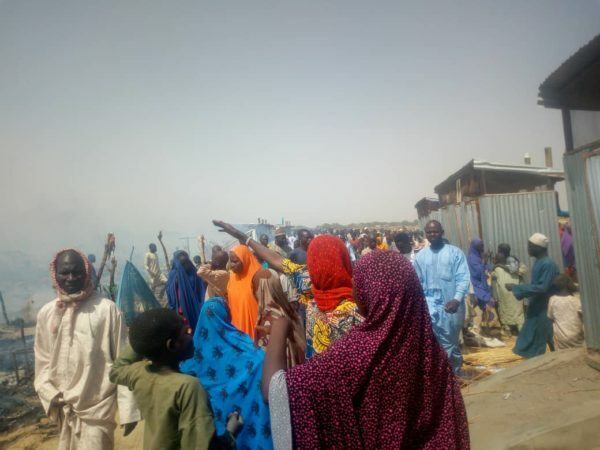 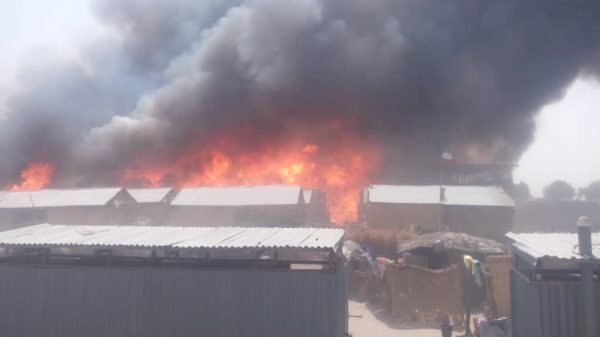 Photos and videos shared on social media show a the fire raging as IDPs stand and look helplessly. 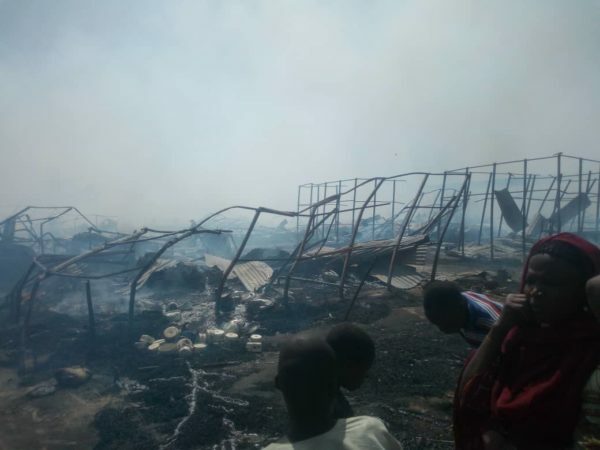 VIDEO: Monguno IDP camp razed by fire, many children were said to have been affected.